Welcome to our tropical 5-star hotel in San Salvador where our friendly and professional bilingual staff will make you feel at home during your medical tourism trip. Conveniently connected to San Salvador's World Trade Center and many international businesses, the Radisson Plaza Hotel El Salvador offers friendly service and an array of desirable amenities that are sure to make health tourism travelers feel right at home. When it is time to recuperate from your medical travel surgery, the Hotel San Salvador can enjoy such amenities as a large outdoor swimming pool, sauna, fitness center, full-service business center, High-Speed Internet Access, airline desk, dry cleaning/laundry service, child care, gift shop and covered parking. The Radisson Plaza San Salvador consists of 195 comfortably decorated guest rooms and suites that include the following amenities to make your stay more comfortable. Come join us for a unique dining experience at El Mirador Restaurant and El Mirador Grill. 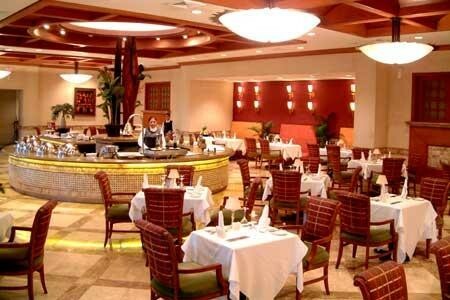 Choose from our international and regional dishes or enjoy the nightly themed buffets. We also offer dining outside on the terrace with a beautiful view of the pool, gardens and mountain. El Mirador Grill Located on the Terrace of El Mirador Restaurant over looking the pool and gardens, the Grill is a great place to enjoy casual, comfortable outdoor dining for breakfast, lunch or dinner. Hours: 5:30am-11pm. 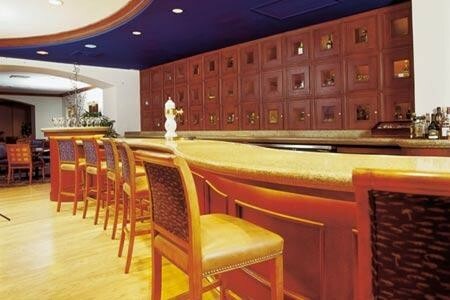 An upscale lounge where you can relax, listen to live music and enjoy your favorite drink whether it be a fine liquor, cocktail or vintage wine. The Radisson Plaza San Salvador offers amenities that are especially designed with you in mind. Whether traveling for medical tourism or leisure, we want to make your stay with us as comfortable and convenient as possible. Check in: 3pm. Early check in available on request. Check out: 12 n. Late check out available on request. Located 10 minutes from downtown and even closer to the business district, government offices, shopping and entertainment. Connected to the World Trade Center and known for its exclusive location. The city of San Salvador and the hotel are 29 miles from El Salvador International Airport. (Airport code: SAL). Shuttle and taxi service available. El Salvador ­ a country of beautiful beaches, dramatic scenery, and friendly people. At the higher elevations, orchid-laden cloud forests offer a surreal landscape; the lowlands, meanwhile, are birdwatchers paradise of estuaries and dense mangroves. Rich history and modern foresight are juxtaposed in this "Southern Gateway to the Mayan World." Indeed, on one hand is the Joya de Cerén archaeological site, where a Mayan village was buried in volcanic ash some 1400 years ago, on the other is blossoming San Salvador and its busy international airport. Indeed, the capital city reflects the country's strong push into the 21st century, offering visitors a wide range of opportunities to suite their palates. The Teatro Nacional, built in 1917, dazzles with its red-carpet treatment and opulent interior. Public markets like Mercado Central and Mercado Ex-Cuartel hum daily with local merchants peddling everything from fruit and handicrafts to pottery and hand-woven clothing. The noteworthy Museo Nacional Davíd J. Guzmán serves as home to the country's most significant archaeological finds. Off the Boulevard del Hipodromo, San Salvador's ritziest strip, is the Jardin Botanico La Laguna, which lies on reclaimed swampland at the foot of a volcanic peak. Outside of the capital, the Ruinas de Tazumal are among the most well preserved Mayan ruins in Central America. Parque Nacional Cerro Verde's Volcán de Santa Ana and Volcán Izalco offer spectacular views of the countryside; meanwhile Lago de Coatepeque, a crystalline blue lake hidden in a volcanic crater, is a perfect place for an afternoon hike. If hitting the beach is on the agenda, few would argue against there being a better choice than Costa del Sol, whose white sands and calm waters attract all shapes and sizes of sunbathers.